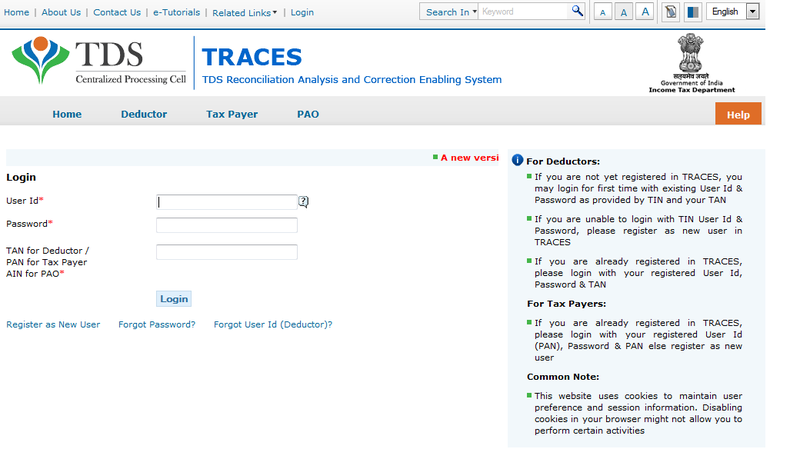 If this is your first time logging in to TRACES and you are a migrated user from TIN, you can simply login to TRACES with your User ID and Password for your TAN account from TIN. 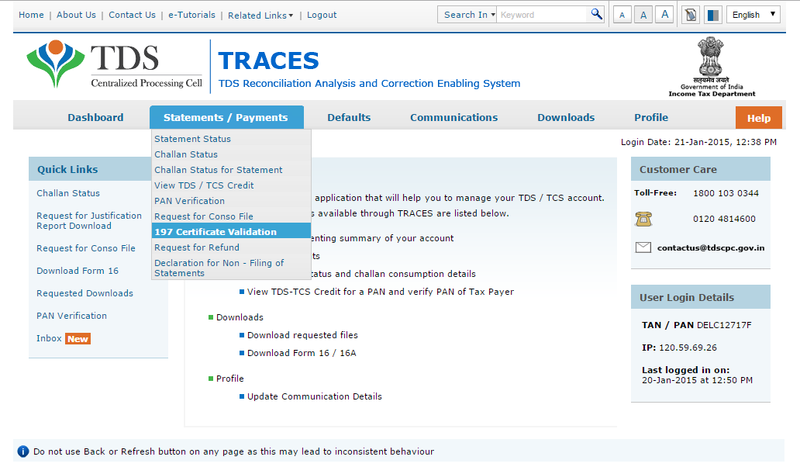 Click on the Statements/Payments tab at the top and choose 197 Certificate Validation. Enter your 10-digit alphanumeric Certificate Number and PAN of the deductee as per the 197 Certificate. Choose any financial year from FY 2007-2008. At the bottom of the screen, you should see all the 197 Certificates issued for the particular FY, PAN and Certificate Number combination supplied by you. Clicking on the Amount Consumed tab on the table will give you the consumption details.